I was lost in a neighborhood in the eastern part of Cairo. I had entered this warren of tiny dirt floored alleys and was wandering and unable to find my way out. 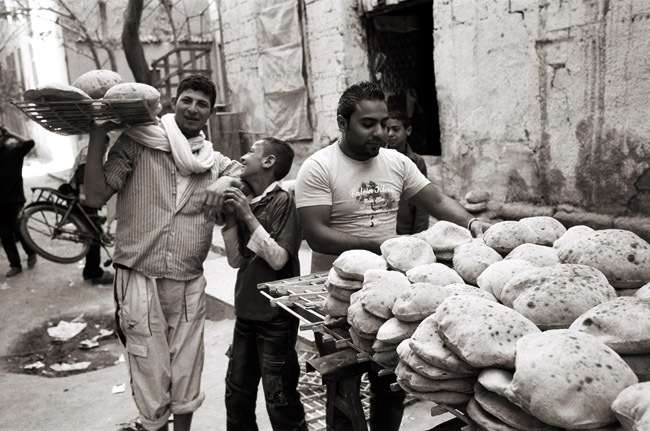 I started to walk down an dead end when I saw this boy bringing out freshly baked bread. 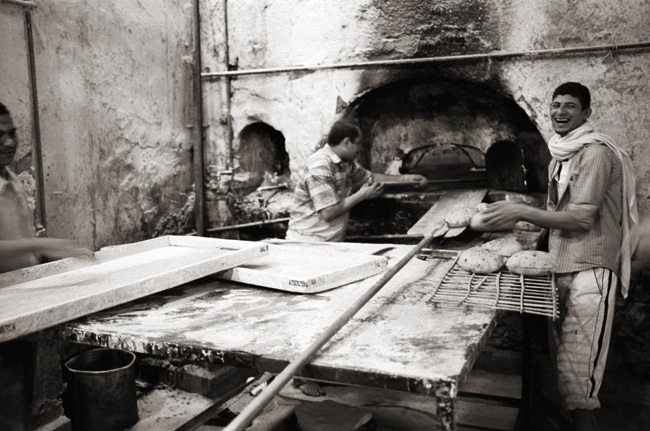 This bakery was old and deep inside this cavernous building, the maw of the oven casting an unbelievable amount of heat into the room. It was February and though the hottest part of the oven was deeply recessed, the heat it threw out hit like a laser. I could not imagine working there during the height of summer. 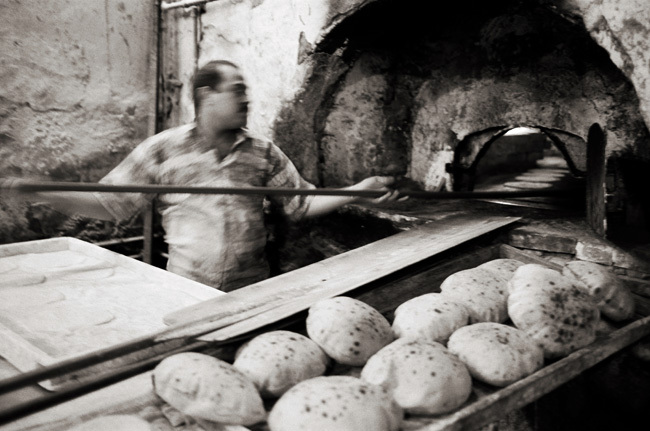 These flat circles of dough would be slid into the oven and after a minute on each side, it would turn into this pillow of bread, soft and flaky. I ate one hot, straight from the oven, the men and boys standing around and watching my reaction. 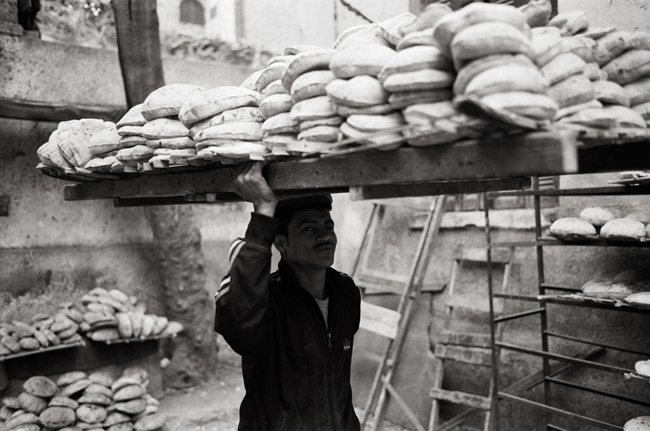 Bread is a vital part of the daily life and routine of Egyptians that when the price of bread soared in 2008 as the economy was tanking, people rioted. 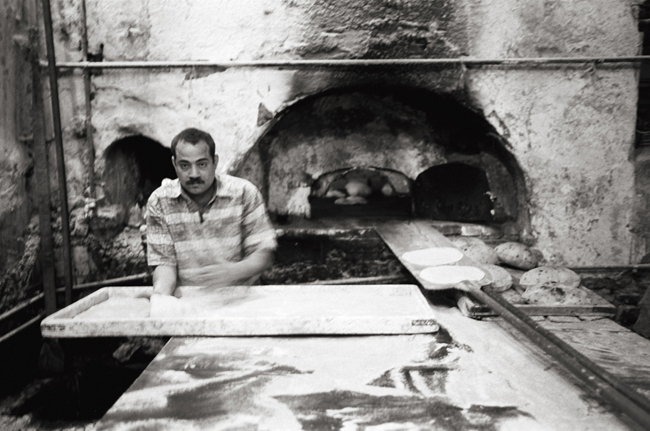 Then President Mubarak ordered the military to open their bakeries to the public to appease the masses. There have been many bread riots in recent history but none as important and as far reaching as the Bread Riot of 1977.